We serve a lovely four-course tea with a fashion show as well. This year our fashion show will be presented by Supercalifragilistic Shows / Lynn Gough. Are you a Downton Abbey fan? Not yet definite, but that likely will be our theme. How can YOU help make the tea a success? Volunteer to set a table. (You do not need to have your own guests.) Invite friends and family. Offer to help in the kitchen or prepare food or bake cookies. Donate a basket for the raffle, perhaps as as a joint effort of your study group or satellite. Last year we had wonderful raffle items which raised more money for the guild than the tea itself. 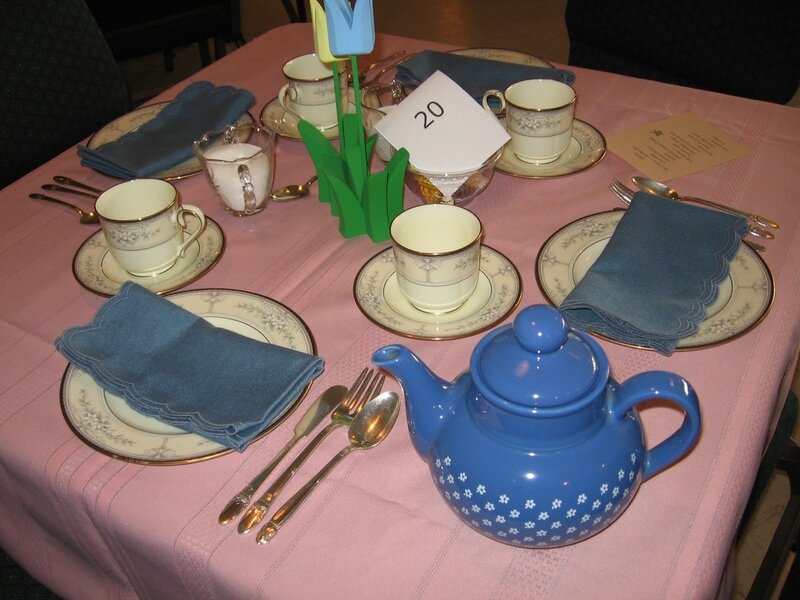 We'd love to see some new faces volunteer to set a tea table, donate to the raffle or work on food or set up. Please let Martha (miss_marty14@hotmail.com) or Margaret (mlduguay@yahoo.com) know if you would like to volunteer. Please note that tickets are not available at the door. Download and print the file below and send in your tea registration by mail.